Webmasters consistently work in driving more traffic to their websites, but not everyone succeeds. Some websites try their hands at paid advertising while others hire expensive SEO experts and marketers to improve their search engine rankings. However, not every business has the same budget to appoint an army of SEO experts and make it work for them. Though there are various ways to increase traffic on your website, content marketing is one of the most preferred and popular ways, plus it's cheap. It has been around for quite some time now, although it has only gained popularity over the past few years. 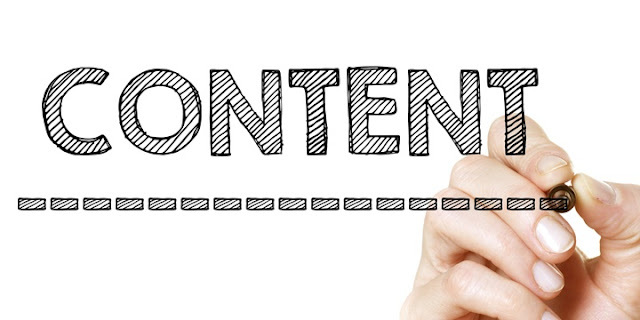 Content is not what you write to drive more traffic to your website, it is something that conveys a message about your business to your target audience. In order to stay ahead in the competition and gain the loyalty of the visitors, it is essential for websites to produce high-quality and useful content that reflects their brands. The online world is all about content and you cannot expect your website to receive more traffic without creating and circulating quality content around the web. There are times when you need to produce content that is trending and current; however, it doesn't last long. On the other hand, an evergreen content stays fresh and pertinent long past its publication. They are more effective than trending content, as they are written once and enjoyed by various users over time. Formatting plays an important role when writing content for your website. The overall appearance of your content tells whether it's a hit or a flop, besides the information provided inside it. 90% of web users don't even read the whole paragraph before navigating away. Let's take it this way: you need information on sinus infection symptoms, would you stick around an article where the information is provided in long paragraphs? Of course not! Everybody is in a hurry. Nobody has time to go through each line to find the information they are looking for. People want their information served on a silver platter. Write meaningful as well as interactive content to keep visitors coming back for more. Social media remarketing is one concept which is not very popular among webmasters. A majority of website owners often overlook the importance of sharing their content again with their followers and users. As a matter of fact, sharing a particular old blog after a month or so can drive more traffic to your sites. This is an excellent method of developing returning traffic on your site. A number of e-commerce websites find it difficult to write content relevant to their products, and then promote it on different sources. However, writing reviews are a great way to put your word out there and drive traffic to your sites. You can also make real users write reviews for your products to have a better impact. it is always suggested to approach websites on the same niche as yours. To start off, contact websites with your pitch and ideas you may have on your mind for their websites. However, when it comes to brainstorming ideas for other websites, make sure you completely pour your creativity skills. The evolution of smartphones has made it quite necessary for webmasters to optimize their sites for mobile users as well. Where an average number of websites receive more than 38% of traffic from mobile, can you afford to miss out on an opportunity to convert visitors into sales leads? Infographics is the latest trend in content marketing. You probably have seen many websites boasting of their designing skills in the form of infographics while providing just the right information in the most right way. Make sure you don't overdo it. A landing page is separate from the homepage of your small business site since it’s meant to advertise a specific product or service you’re selling on your main site. Once a lead clicks-through from your landing page, that’s when they’ll get to your main site to actually buy what you’re selling (often directed to a product purchase page). This begs the question, how do you promote your landing page so that leads to find out about it and see it? After all, just having a landing page is useless if people don’t visit it. Videos are becoming increasingly popular. Sites like YouTube prove that there’s a huge demand for online video: The average person spends 40 minutes on YouTube per viewing session. Videos are also more digestible than written content because it’s easier to watch than reading. Further, videos create a more personal connection to the content, as they’re interactive. Videos are clearly a great alternative in content marketing ideas. Before you think that videos and even podcasts are too expensive to create yourself, consider this: professional-grade equipment keeps getting cheaper, making now the perfect time to move into this form of marketing. Something as basic as creating an explainer video for a product or service that your small business offers and then posting it on YouTube is an effective example of this strategy at work. You also get to have a backlink to your site on your YouTube channel, thereby giving you the potential for a fair amount of website traffic if your videos become popular. Paid search is one of the two, main components of search engine marketing or SEM, with the other being search engine optimization or SEO. Both content marketing ideas strive to use search engines and keywords to drive traffic to small businesses’ sites. You can spot paid search in the form of Google Adwords ads that appear on top of the organic search results for keywords. The lead will then click the ad and then be brought back to your website. Commonly, a visitor is landed on a landing page. So, make sure that you optimize your landing page before bringing more traffic to the landing page. Author Bio: Emma Watson is qualified web development professional and writer by hobby. She meets expectations for Wordsuccor Ltd., offering WordPress website development services India. Emma has more than 5 years of experience in the industry and she also likes to share insightful t for her readers.